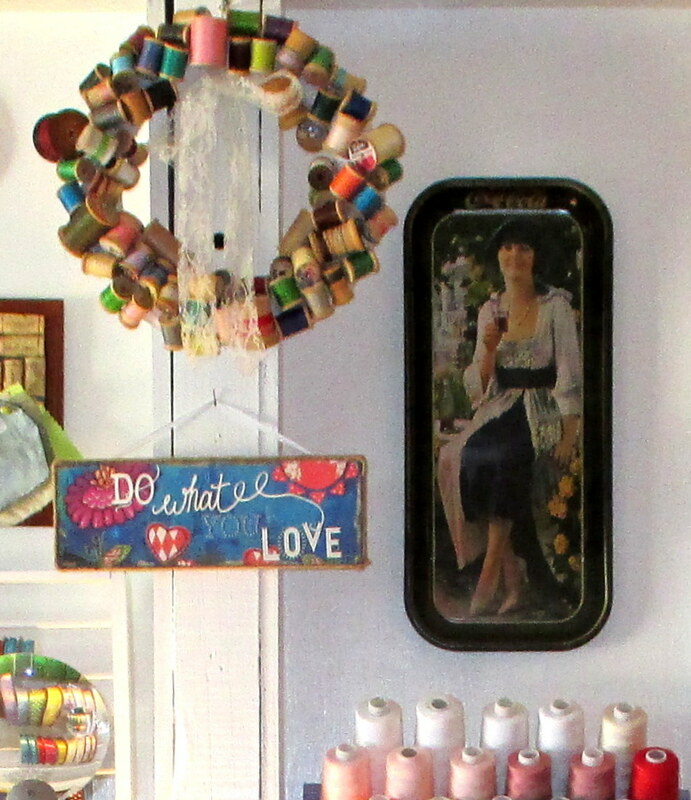 I find that creating a sewing room that showcases things that you love makes your space a place that you want to spend time in. It helps you get your creative juices flowing, and adds inspiration. You don’t need to spend a lot of money to have an eye-catching space. Use things you already have, repurpose things and give them a makeover, shop thrift stores and clearance sales or craft your own decor. 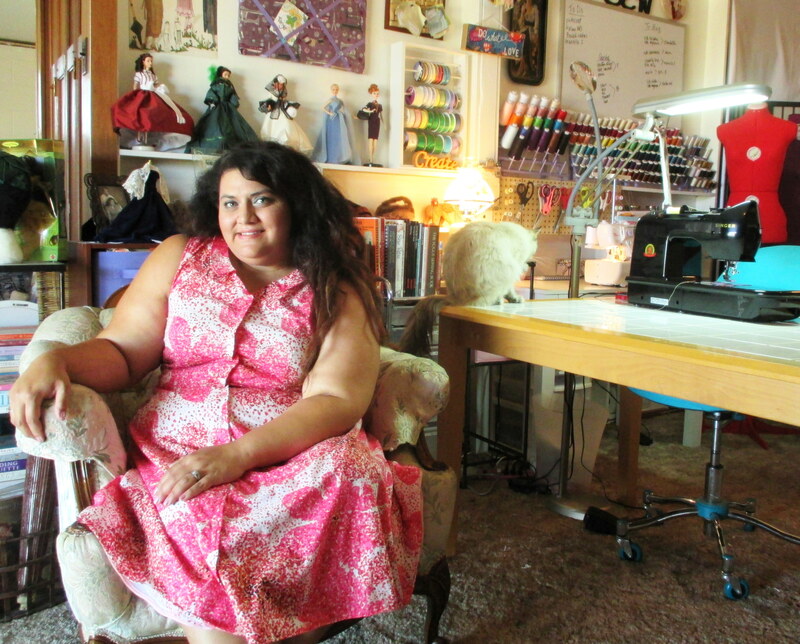 My sewing room took about two years for me to get it the way that I wanted it. Most of that is because my room was not a blank space and had to be cleaned up and renovated in order for me to make it my own. If you’re lucky enough to be moving into a new room for your sewing space, it will be like a blank canvas just waiting for you to decorate it, rather than having to deal with cleaning up and getting rid of other peoples’ junk… I started out by looking at sewing room boards on pinterest for inspiration and admiring rooms both there and on blogs and in magazines. 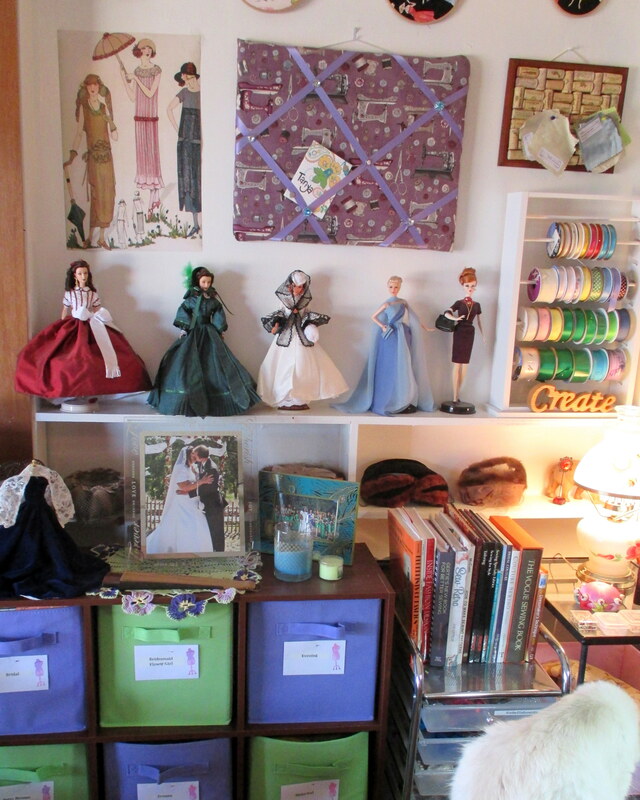 I looked around to see what I had that fit the image in my mind of my dream sewing room. I shopped online and in stores and did a lot of browsing. 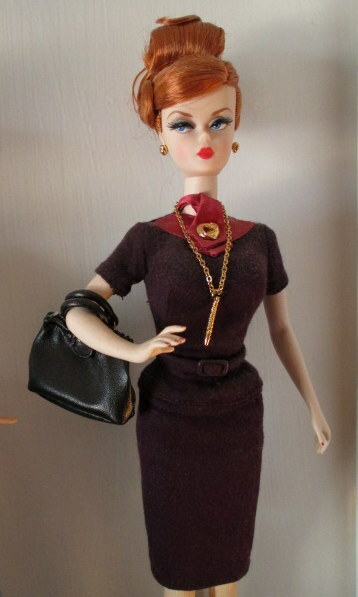 Those are some of my collector Barbies and vintage hats given to me by my MIL. I made the memory board and corkboard (tutorials coming soon!). The 1920s poster is one I printed off from Costco. Costco has a whole library of artwork online that you can print into posters for CHEAP! 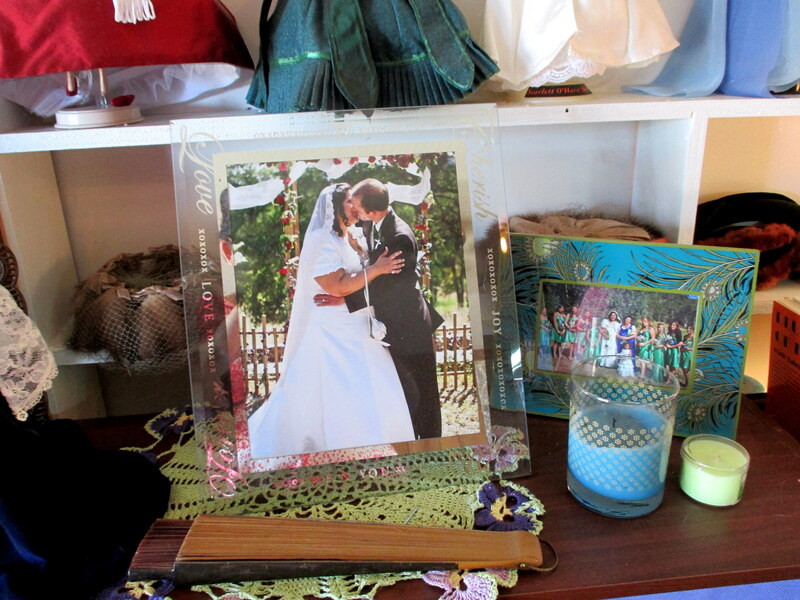 I put up photos from my wedding of both my husband and I and my bridal party. I also have a crocheted pansy doily made by my MIL and a vintage fan of my grandparents’ from Spain. I found the “Do what you love” (which I love <3) at Hobby Lobby on clearance and my Edwardian Coca Cola tin at a yard sale. 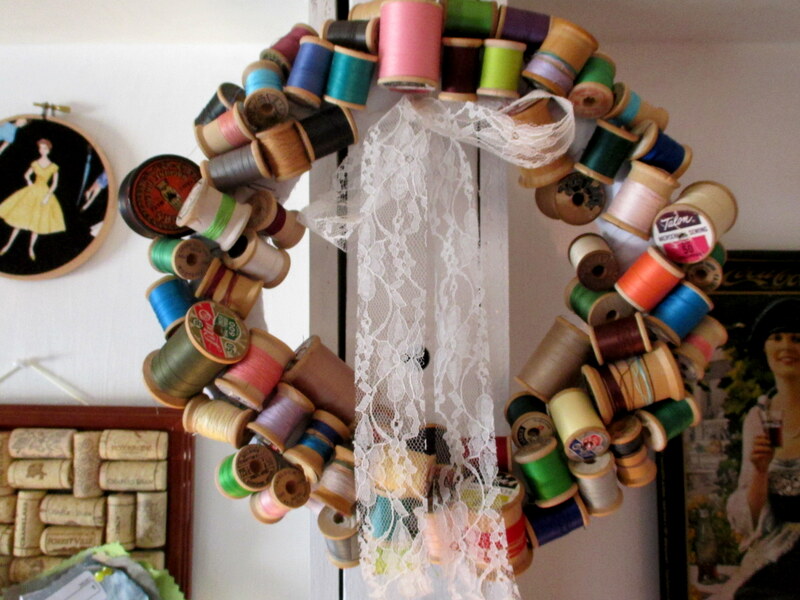 I made the thread wreath out of vintage spools (tutorial coming soon for that as well!). 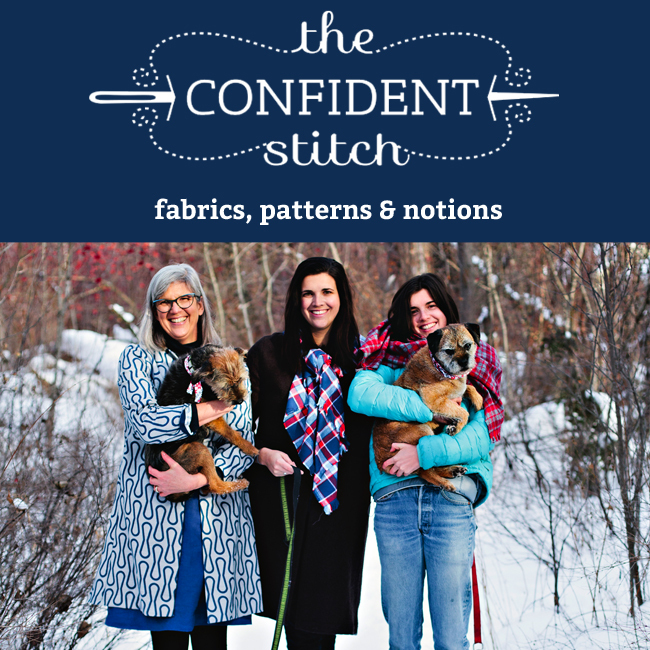 I like to buy fabrics with fashion models and pin ups on them and never know what to do with them. I saw this neat idea on pinterest about putting fabrics in embroidery hoops and went with it! 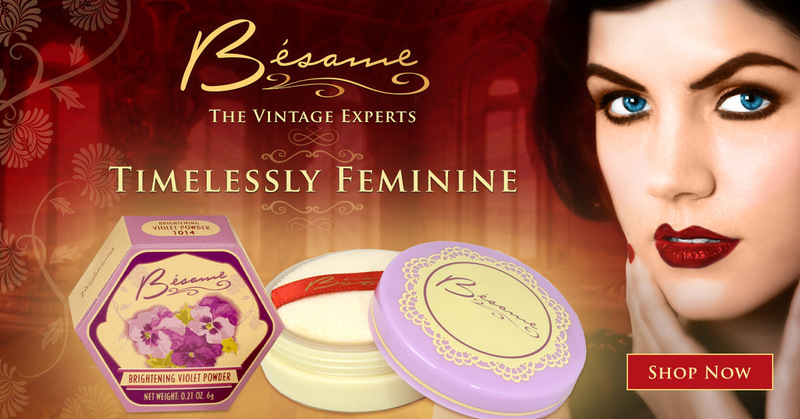 So easy and nearly instant gratification! 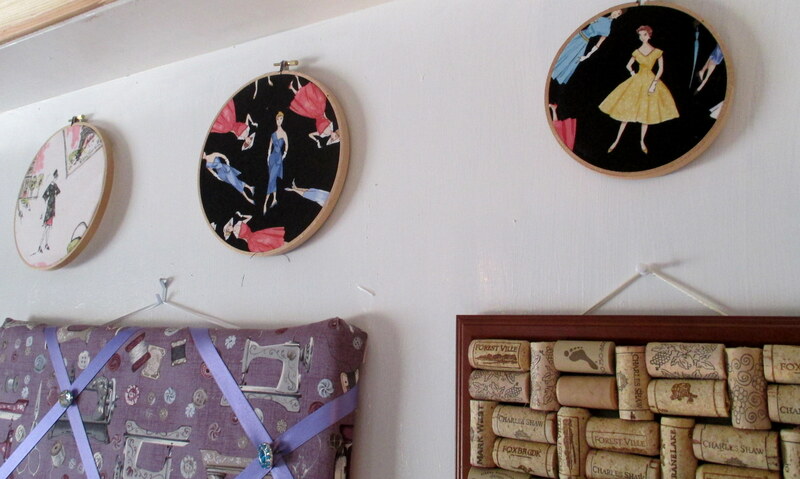 For just a couple of bucks for embroidery hoops and some fabric scraps, you can have some beautiful and unique wall hangings. I found my “SEW” letters at Michaels. From the three big box crafts stores we have, Michaels had the best selection with different fonts. This one happens to be painted. The “create” sign I found on etsy. I will probably paint it black to match the other letters. You can see some more of those Costco posters, plus I have some larger ones that are from Waterhouse, Klimt, and Barbier paintings that I have elsewhere in my space (I will show you as I complete the other sides of my sewing space). I also love to decorate with lamps. I have a number of Tiffany style lamps in my home. This hanging lamp reminds me of Art Nouveau designs. It’s one that my mom had, as well as the handpainted hurricane lamp (my husband calls them “Gone with the wind” lamps). My Victorian chair was given to us by Brian’s grandparents. 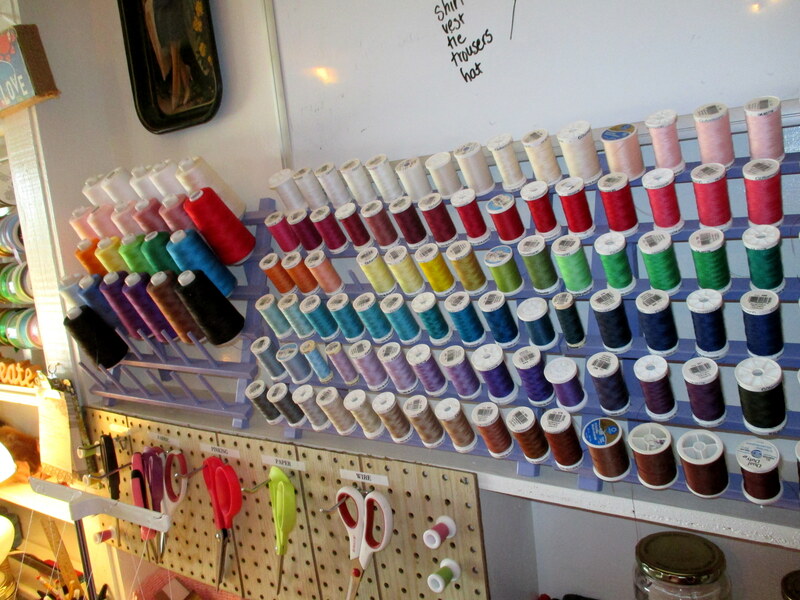 I also think sewing supplis like my thread racks add a lot to the decor my sewing room. Functional and pretty! I’m not sure if I really have a “theme” going for my sewing room. I like pink, purple and green, so I have a lot of that. Plus I like the simplicity of white. I’ve got some Antebellum, Victorian, Edwardian, 1920s, and 1950s designs going on plus some contemporary stuff. I just decorate and surround myself with what I love to look at. 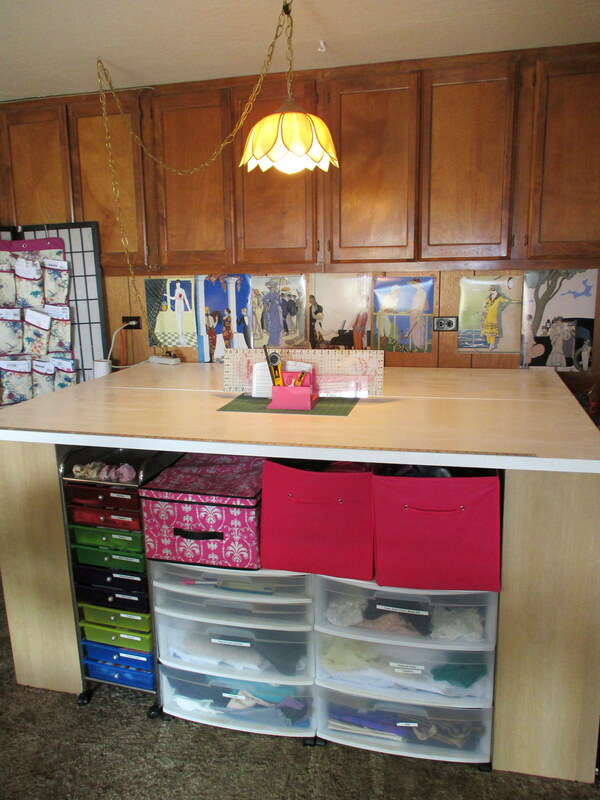 It all makes my sewing space a place that I want to spend time in and create things in and is pretty and functional at the same time. « Todd has been adopted! Thanks for stopping by, Nikie! 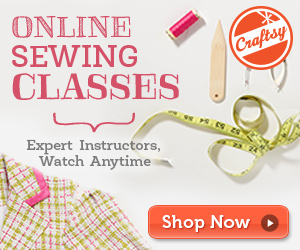 Your sewing room looks amazing! I love how much you’ve decorated it. 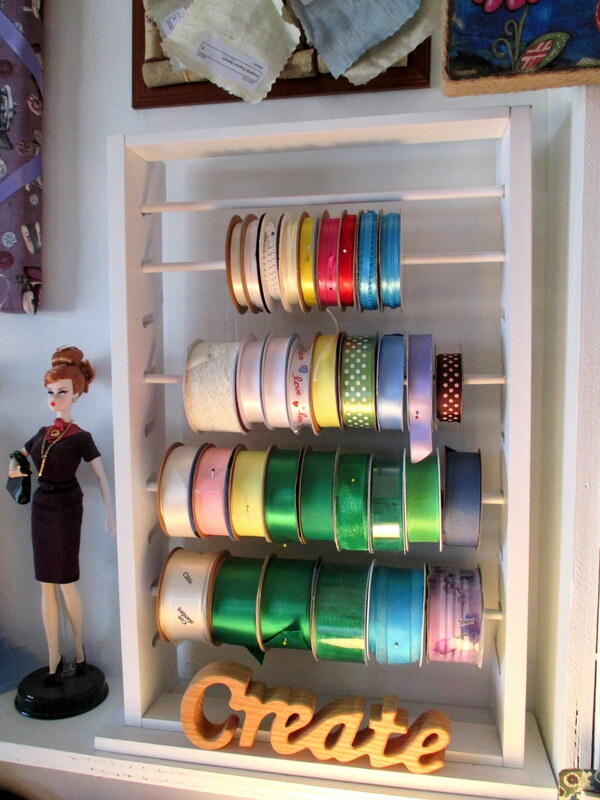 I’m going to do some major re-arranging in mine this weekend and I might borrow some of your organization ideas! I hope you post some photos of yours! I know! Once saw the embroidery hoop idea, I knew I had to copycat! What a wonderful room, colorful and inspiring! 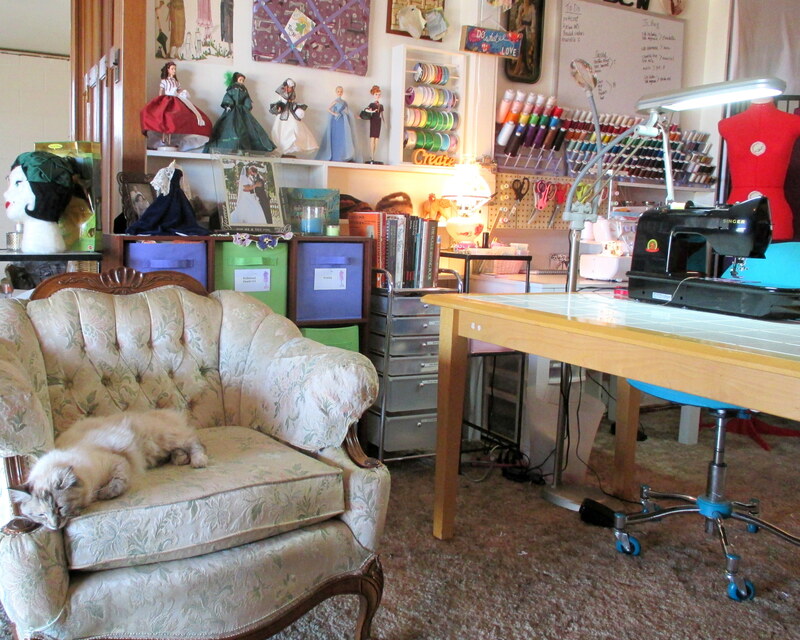 I totally adore seeing others’ sewing spaces… One of these days I might get mine to the point where I’ll post it too. 😀 Thanks for sharing! I hope you do post photos, Susan. 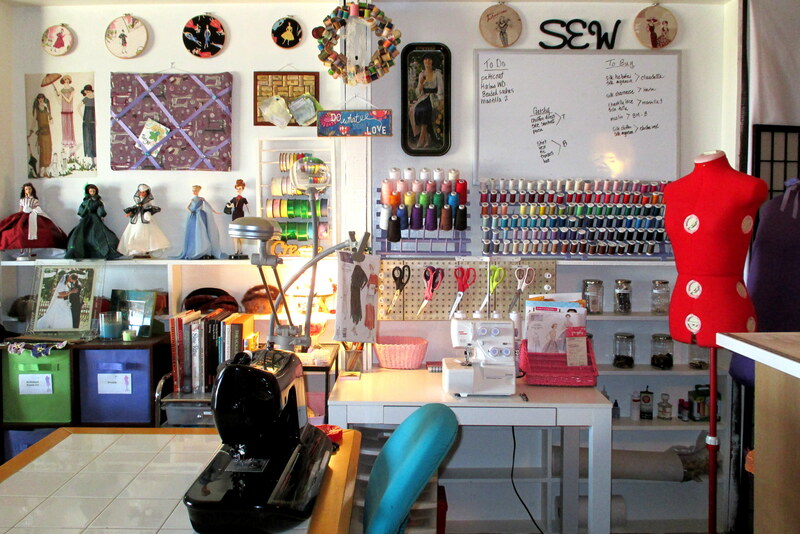 I love seeing sewing rooms as well!